Right now it’s easy to earn a boatload of American Airlines miles quickly. It’s realistic that you could have 0 miles today and 237,000 miles in as little as a month from now (maximum seven months from now), by opening a combination of four new credit cards–two consumer cards and two business cards–from Citi and Barclaycard. 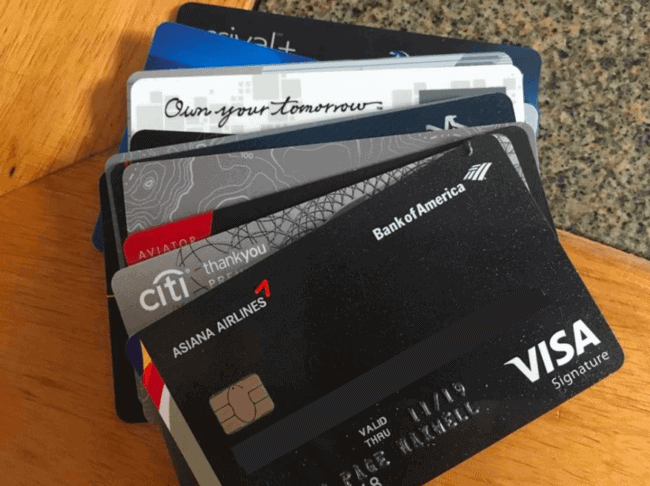 Today in Part I, I’ll go over how to get that pile of miles, with specifics on card and bonus eligibility and the best order to apply to improve your chances of approval and decrease your chances of hard credit pulls in vain. Soon I’ll cover exciting ways to burn that stash of miles. Yes, American is known for having crappy award space on their own planes that has improved marginally as of late, but overall isn’t widely available. But that doesn’t stop you from redeeming their miles on oneworld carriers around the world in luxurious premium cabins. The normal offer is 30,000 AAdvantage miles for spending $1,000 on each and the standard “elevated offer” we see on each is 50k for $3k spend. So 60k for $3k spend and 70k for $4k spend is great. If you’ve been waiting on these cards, now’s the time. Both are limited time offers. The personal card will garner at least 63,000 miles for meeting the minimum spending requirement (60k + 3k for non-bonused spend to unlock bonus), and the business card will garner at least 74,000 miles (70k + 4k for non-bonused spend). This is the old Aviator card, which was product changed from the old US Airways Card. The new version, which is a separate product, has a silver MasterCard logo. These Barclaycards are great opportunities to essentially buy miles for a very low price, as you are getting 100,000 miles for paying $190 in annual fees. That’s .19 cents per mile ($0.0019/mile). If you don’t have the capability to meet typical minimum spending requirements for valuable credit card bonuses, typically around $3k to $5k in three months, then these cards are ideal for you. I do get commissions when you sign up for some cards, but not the AAdvantage Barclaycards. I just want you to be aware of the best deals. And there we have our pile of miles. If you think you’re not eligible for business cards, you may want to investigate that thought a little further. Many are eligible and just don’t realize it. Your “company” doesn’t necessarily need to be raking in the big bucks, doesn’t need employees, doesn’t need an EIN. Read How to Get Approved for Business Credit Cards for more info. That being said, it’s important to mention that I’ve read quite a few data points of people getting a bit more hassled for the Barclaycard business card (as opposed to most business cards). By hassled I mean asked to show documentation of a legitimate business, like a filing with the state for example. As long as you haven’t opened or closed a Citi / AAdvantage Platinum card or a Citi/AAdvantage Executive World Elite MasterCard in the last 24 months, you are eligible for one and its bonus. As long as you haven’t opened or closed a CitiBusiness / AAdvantage Platinum card in the last 24 months, you are also eligible for it and its bonus. Having a personal card doesn’t affect your ability to get the business card, nor vice versa. Even if you had the Barlcaycard AAdvantage Aviator Red World MasterCard that was product changed from the old US Airways card, you’re still eligible for the new AAdvantage Aviator Red World Elite card because it is considered a different product. The new one has a silver MasterCard logo. But notice that I said had. You will be denied for another Aviator card, whether it is a repeat of this new one or the old one, if you still have an Aviator card open. It also says the following in the terms and conditions in regards to eligibility for the bonus: “Existing cardmembers, existing accounts, and previous cardmember with accounts closed in the past 24 months may not be eligible for this offer”. So while it’s not a hard and fast rule since it says “may not be eligible”, you probably don’t want to apply for another within 24 months of closing the prior Aviator card. While the business card is considered a separate product from the consumer card in regards to these rules, the same rules as above apply for the business card (when applying for repeat business cards). I recommend applying for at least one Barclaycard first as Barclays is known for being the most inquiry sensitive bank. I’ve seen data points of people being approved for both the personal and business Barclaycards on the same day, so if you haven’t opened a lot of credit cards recently (especially not Barclaycards) and feel like rolling the dice to get those miles sooner, you can try that and you may get lucky. But the prevailing wisdom if you want to be safe is to wait six months between Barclaycard applications. After the first Barclaycard app, go after the Citi cards. You can be approved for no more than one Citi card in an eight day period. If you want both Citi cards, get them on days 1 and 9. That means the soonest you could have these miles is roughly a month from now, or when your statements closed on which you met the minimum spending requirements and paid the necessary annual fees for the Barclaycards. The most amount of time it should take you is seven months, and that would be the case if you decided to play it safe with the second Barclaycard app (you’d open the second card six months after the first, then wait for the first statement to close to get the bonus). If you signed up for a lower sign up offer for one of the Citi AAdvantage cards within the last 90 days, Citi has a pretty good track record of matching sign up bonuses to what’s currently available. Call the number on the back of your card or send a secure message through your online account–the sooner the better. Barclays is known for matching if you applied for a lower offer within the last 30 days. There are multiple ways to earn heaps of American Airlines miles right now, depending on what cards you’ve opened/closed in the last 24 months. Opening all four will earn you at least 237,000 American Airlines miles. Stay tuned for exciting ways to redeem them in Part II.